This is a set I have made out of recycled lace, so it is a refashion project. This vintage looking creamy lace flower jewelry set is fitting for many occasions. 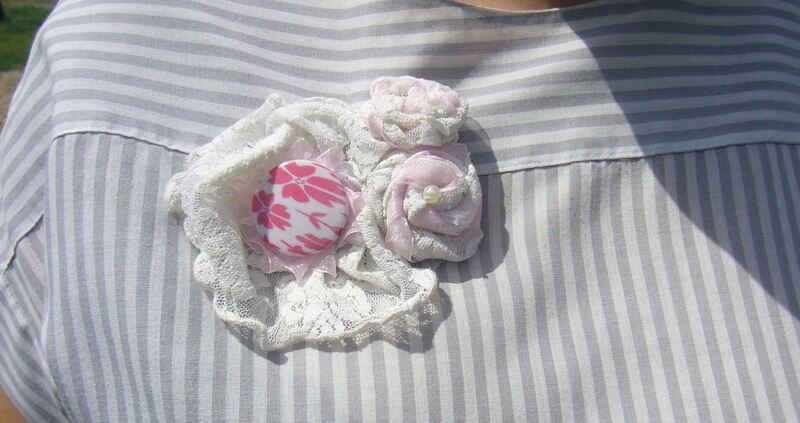 It consists of a three flower lace brooch with pink and creamy large bead in the center. It has a large ring with the adjustable size base and a lace bracelet both adorn with pink and creamy beads and rolled lace flowers. The ring and the bracelet flowers are little less than one inch wide in size. 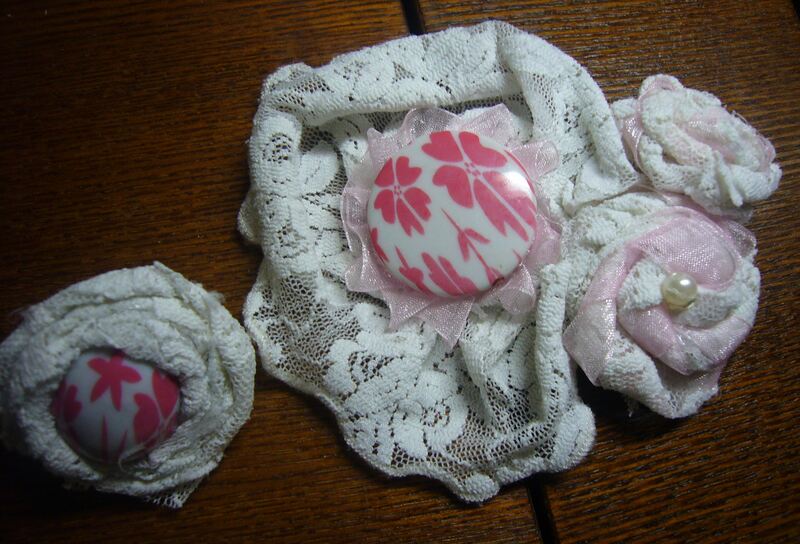 Part of the flowers here are rolled out of lace. The set looks vintage and very sophisticated. You may find it in my Etsy shop recycledcrafting. 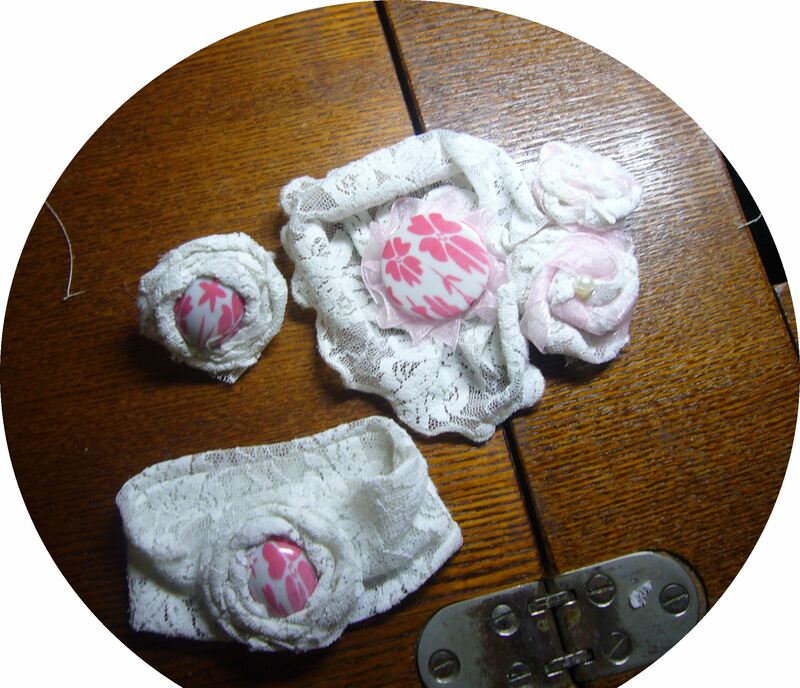 This entry was posted in Handmade jewelry and tagged crafts, creamy lace brooch, creamy lace jewelry, diy jewelry, fabric flowers, handmade jewelry, lace bracelet, lace brooch, lace ring, recycled crafting, recycled jewelry, refashion. Bookmark the permalink. I like this weblog very much, Its a rattling nice billet to read and incur information. “Famous remarks are very seldom quoted correctly.” by Simeon Strunsky.